Please go through the below Tibet travel guide. To apply for a Tibet visa, the validity of the passport must be more than 6 months. The normal Chinese visas applied and issued from Chinese foreign missions abroad are not valid to enter Tibet from Kathmandu. For the visa procedure, we need the following information at least a month prior to your arrival date in Tibet. Please ensure that the passport details of ordinary passports are sent to us (diplomatic passport is not issued Tibet visa). We also require the scanned copy of your passport in an email attachment. The visa is issued in Kathmandu after your arrival in Kathmandu. We need at least one full visa, working day to obtain the visa in Kathmandu. We have provided the above information as per the current regulation in force. The Chinese Embassy in Kathmandu makes frequent changes. Hence, we suggest you inquire us for the most recent visa regulation. The best time to travel to Tibet is from May till October when the temperature average around 10 degrees Centigrade. Between these months is the busiest tourist season in Tibet. Please note in Tibet tourism is strictly controlled by the Chinese government. Tibet has been opened to the general tourist recently (although there are many restrictions already). Traveling to Tibet will be fun and often adventurous. Although there have been improvements already, we request all our valued clients to not have very high expectation regarding the services in Tibet. Tourist traveling to Tibet after visiting Nepal may quickly notice the lack of hospitality there. Tibet is once in a lifetime journey, we request clients to focus on their tour and not very much about the service standards. 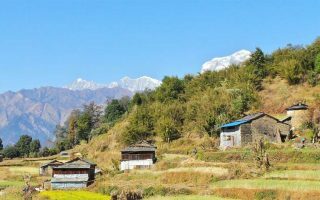 Recently, due to large tourist movements, tourism has been bit developed and the service standard is improving, but still is not comparable to that of Nepal. An altitude above 3,000 meters is known as a high altitude. As much of the region in Tibet lies above this altitude, one must be aware of AMS. We at Travelsmith Nepal try our level best to reduce the effect of prior preparations. We always keep our clients for at least one night in Lhasa to acclimatize with the high altitude. The private vehicle which we provide during the tour and transfer in Tibet is always equipped with one emergency portable oxygen cylinder. Our guides are always vigilant regarding such situations. If you develop symptoms like a matter of discomfort, breathlessness, poor sleeping patterns or limited capacity for physical exertion, please inform our guide at your earliest. Our guide will react quickly by bringing you down to the lower altitude, which is the best cure for AMS. Taking photographs is prohibited in sensitive areas like in check Posts/Army areas. Further, there is an extra charge if you wish to take photographs inside Monasteries. Sometimes, monasteries charge extra for each different section of the same monastery. If you want to take a photograph of an individual please ask your guide or the individual whose photograph you are about to take. Thermal underwear, Down Jacket, Warm Trousers and sweaters, Woolen Shirts full sleeves. Always keep a copy of your visa or permit with yourself. Important Tibetan words are Tashi Delek which means “greetings”, Thucheche means “thank you”. Furthermore, Use always both hand whenever you give or take anything. Do not touch, walk over, or sit on any religious texts, sacred objects or prayer flags. Tibetan people do not eat horse, dog, or donkey, as well as fish (in some areas). While in Tibet, you should follow local dietary restrictions. In addition, Tibetan people stretch out their tongue to say hello to you. Also, it is a courtesy to put their hand’s palm in front of the breast.